Since growing my nails, I have a new found love for all things nail art! I am not usually very experimental with my nails, but recently I have just been seeing so many patterns I want to try! I’ve seen so many lovely ladies doing a Cath Kidston nail art post on their blogs, so I thought I should definitely try it myself. I chose to do a pattern similar to the Cath Kidston Provence Rose fabric, as I happen to have a beautiful CK full tea set in that pattern. I was very nervous about doing this nail art, but it’s actually very simple to do, and it doesn’t matter if you’re a little messy, it adds to the charm! Apply two coats of your base colour, I used Revlon Blue Lagoon. 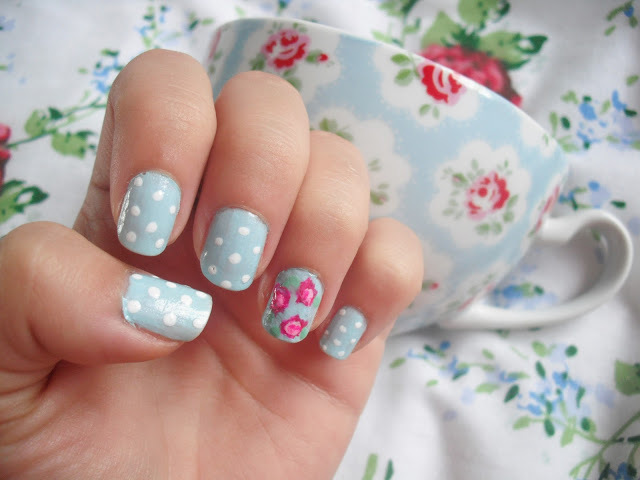 Using a nail art pen, dot on your little polka dots on all but one of your nails on each hand. I used a white nail art pen from Poundland which worked amazingly well. On your empty nail, smudge on 3 little splodges in a dark pink. I used Miners Jezebel for this. While the nail polish is still wet, splodge on a lighter pink on the inside of each dark pink splodge. I used Miners Marshmallow. Then, you can either use a tooth pick, or fine nail art tool, to apply a small amount of the darker pink inside the small light pink splodge. However I chose to use another nail art pen from Poundland, in a bright pink. Once this has dried, draw on a few little green leaves. I used Barry M Mint Green. Once you’re all done with your pattern, apply a clear top coat! And then you’re done! Easy peasy. I think my nails actually look better in real life than in the pics, and I’ve got lots of compliments on them! And here is my most prized possession, my Cath Kidston tea set! I won this a few years ago, it was one of my first ever prizes. I’ve never used it (I don’t drink tea!) but I love it so much! 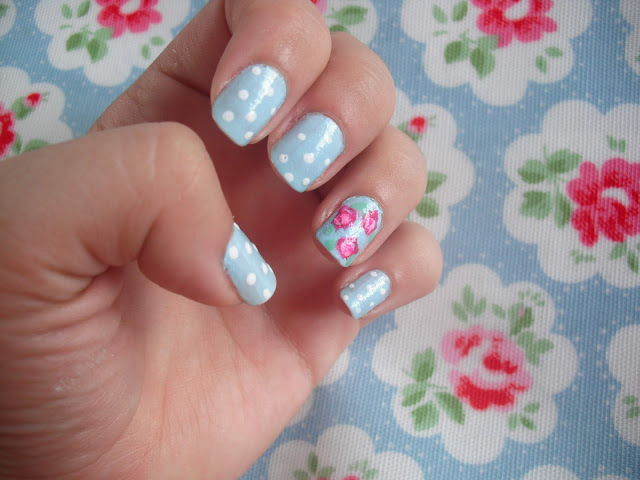 What do you think of my Cath Kidston nail art attempt? This looks so lovely! I love doing floral nails. I never used to take care of my nails but since I left my part time job in a bakery where they ALWAYS got ruined I've been able to make them look pretty for as long as I wish! Therefore I am now a nail art addict. That tea set is just beautiful! 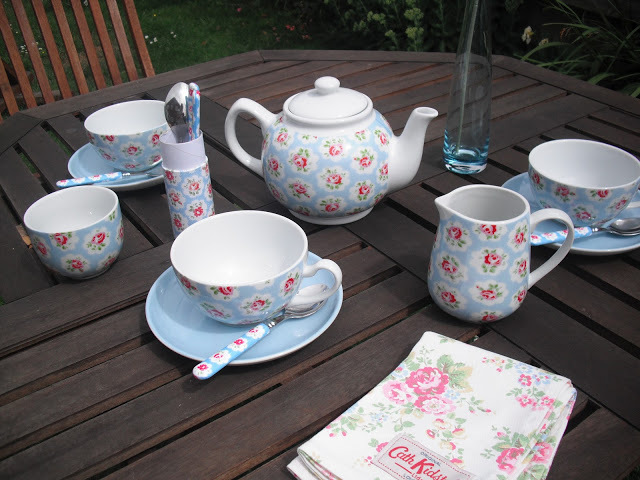 Wow it looks great i love everything and anything cath kidston so these are up my street!!! 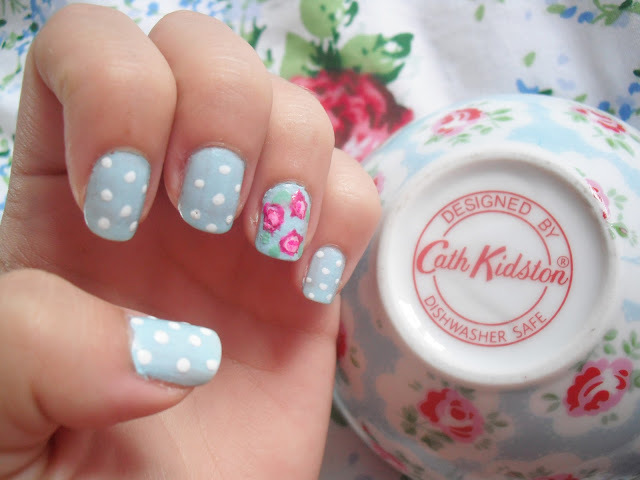 Amazing you did such a good job if not the best attempt at Cath Kitson nails i've seen on here! !